Florals do not need to only be in the bouquet. This creative design by Apples of Gold ring is infused with blooming beauties of floral touches. 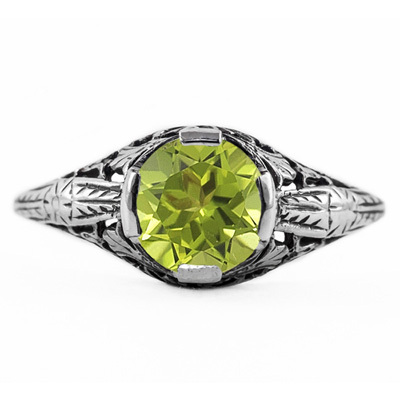 The sterling silver band is the ideal backdrop for the lime peridot gemstone. With the inspiration of art nouveau design beckoning to be worn, you will be replying to yes to every invite. The lime peridot gem is round in shape and intricately placed in the center of the ring. 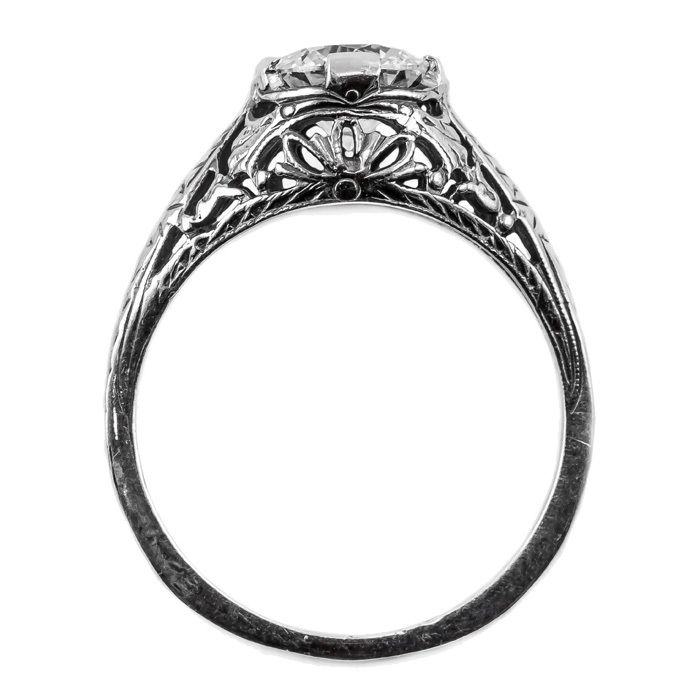 Measuring 7mm, this timeless piece of jewelry is a treasure that will be passed on for generations. 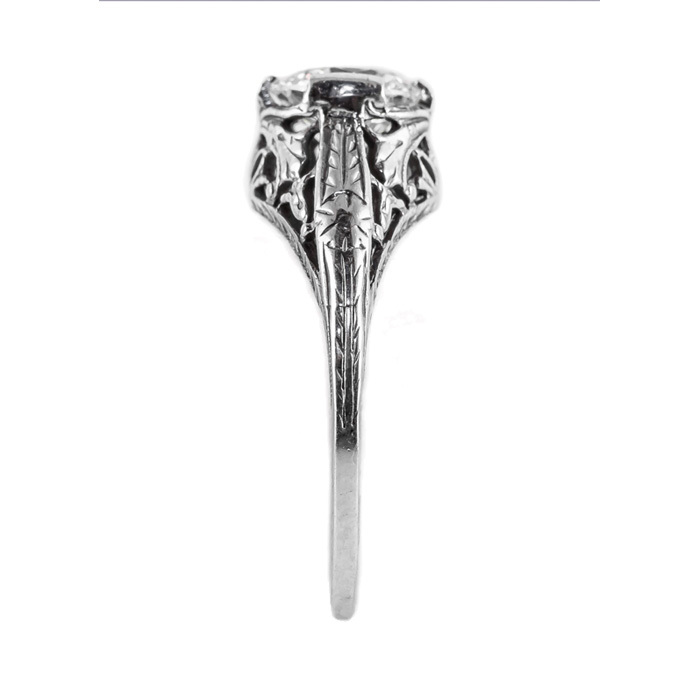 We guarantee our Floral Design Art Nouveau Inspired Peridot Ring in Sterling Silver to be high quality, authentic jewelry, as described above.